Egerton Park CC’s tough County League run continued as they were pipped in a nailbiting clash with Leicester Ivanhoe Seconds on Saturday. 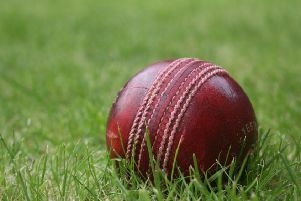 The First XI slipped three runs short as they chased Ivanhoe’s 255-8 and slipped a place to fifth in Division Two with a sixth defeat of the season. The visitors lost the toss on what looked a decent pitch, and they found wickets hard to come by, picking up only one in the first 28 overs as Richard Newbery (65) and Sam Ward (52) put on 132 for the second wicket. But Panchal finally found the breakthrough and Seecharan quickly found his rhythm to have two batsmen caught at slip. At the halfway stage Park thought they had pulled it back and were confident they could chase down 255. Panchal got Park off to a flying start and hit regular boundaries to reach his first 50 of the season in quick time. Glover was once again a dominant force with the bat and made good partnerships with both Madden (34) and King (31) as the visitors looked to have got themselves into a great position, needing 30 off five overs. But when Glover (87) was run out by a close call, the game was back in Ivanhoe’s hands and Park came up agonisingly short losing. Egerton Park host Kirby Muxloe on Saturday from 1pm. Bowling: Watchorn 9-3-35-1; Glover 10-2-56-2; Seecharan 12-0-55-2; Panchal 12-0-80-2; Barber 2-0-25-1. Park: Panchal 54, Bailey 10, Glover 87, Barber 1, Madden 34, Seecharan 0, King 31, Burdett 0, Newton 0, Watchorn 10, Beeken 1, Extras 24. Total: 252-9.